Warning to The FBI – Dr. Turi and Christopher Dorner – Dr. Turi M.D.U.S. DON’T MISS DR. TURI ON THE AIR TONIGHT AT 11:30 ET http://www.starseedenergyradio.com/ PREDICTIONS/UFO/ETC. A DIRECT WARNING TO DEPT OF HOMELAND SECURITY, THE POLICE ADMINISTRATION, THE FBI, CIA AND ALL THE SECRET SERVICE AGENCIES! CHRISTOPHER DORMER IS RESPONDING NEUROTICALLY, COSMICALLY TO THE CURRENT SCORPIUS DRAGON AIMING FOR THE LAW ENFORCEMENT AGENCY AND ITS FULL PREDICTED RESTRUCTURE IS SLOWLY BECOMING A REALITY! FOR ME TO DO WHAT I DID AND PURPOSELY “INVITE” THE FBI IN MY HOUSE, SPEAKS OF AN IMPORTANT MESSAGE I HAVE FOR A COSMIC UNCONSCIOUS POLICE ADMINISTRATION AND ALL OUR PUBLIC SERVANTS RISKING THEIR LIVES DAILY. I AM ASKING THE POLICE AND MY WORLD WIDE READING AUDIENCE TO TAKE ME VERY SERIOUSLY FOR I KNOW OF THE EXTRAORDINARY PLUTONIC FORCES INSIDE THIS DESPERATE MAN AND HIS DEDICATION TO KILL MANY OF YOU. I TRIED THE IMPOSSIBLE TO REACH YOU LAST FEW DAYS PUTTING MYSELF AND MY WIFE IN A PECULIAR POSITION AND FOR ME TO DO SO SPEAK OF MY COURAGE, CONVICTION AND RARE WISDOM TO HELP YOU CATCH THIS KILLER WITH MY EXPERTISE! YOU ARE DEALING WITH COSMIC FORCES YOU KNOW NOTHING ABOUT. I WILL OFFER YOU THE REAL REASONS WHY MR. DORMER WENT ON THIS DEADLY RAMPAGE AND THE ANSWERS ARE WELL ABOVE THE FIVE LIMITED HUMAN SENSES OF ALL THE TRADITIONALLY EDUCATED DETECTIVES ASSIGNED TO STOP HIM! CHRISTOPHER DORMER WARNED YOU , ITS NOW MY TURN TO DO THE SAME, WITH THE DIFFERENCE THAT I AM ON YOUR SIDE. DID I MENTION COSMIC NEWS? IN THIS SHOW? YES I DID! I also mentioned that weeks ahead of time, I also sent certified mail to San Diego ex-police Chief Burgreen giving him the exact date of August 15, 1991 where he would catch the La Jolla Torrey Pines cop killer and when this happened I never received any form of confirmation from his office either…Note during those days I was living in San Diego and paid close attention to the news development and we did not have the Internet! Furthermore in “George Noory, David Icke, Maxwell & Rapporport” I also enunciate the very fact that I also predicted the “Rancho Sante Fe” mass suicide weeks ahead of time on the John Rapporport radio show but it seems those who were directed involved with my predictions and could confirm my claims won’t budge! Well all I can tell you, my “reverse psychology” worked and, soon or later I was expecting the FBI visit. If you are a VIP, own a copy of my 2013 Moon Power or keep up with my daily predictions on the Cosmic Code website “February 2013 Daily Guidance and Predictions,”you know currently the moon is cruising the sign of Aquarius. This cosmic energy brings about surprises, technology, weird experiences, UFO, shocking news, natural disasters, Blizzard shuts down Northeast large earthquakes, tsunami , eccentricity, the future, the genius of human and all the current news you read on CNN! I KNEW who they were and I was ready for them…It seem we made it at the same time to my house, as they were going out of their car I drove my hummer on my driveway straight into my garage. “You know who we are Dr. Turi” one of the gentleman said politely. I know they will read, (or at least I hope) this article and I must be real exposing my experience with the Feds! I knew and they knew about my right and the US constitution first amendment and we spoke for a while about the impact such a provocative title could stir in an unstable individual mind. They were very respectful and very careful in the words they used dealing with me and I returned the same respect. While both where quite young they were also very smart and operated mentally like a couple of well oiled dependable predictable gearboxes. I do not mean to undermine their intelligence but their mental fixity of purpose was obvious in the developing discussion! They had a mission, they had a goal and they had to follow their superiors’ order. The message was clear, and this was, Dr. Turi realize how your material could be wrongly interpreted by a lunatic in fear of power or the government. We all agreed on this fact, indeed the world is loaded with dangerous lunatics individuals and in they had to make me aware I was endangering them all. I recognized my voluntary error and explained my position, wisdom and what my expertise with Astropsychology could bring them and they knew right away I was on their side. They also noticed my burning passion but did not exactly liked some of my comments such as; Blaming them for a selective sight concentrating on a single title instead of being more objective dealing with my message. In fact I was surprised and I knew, by the type of questions they were asking me that; they did not click on any of the provided links. I was fast to tell them about this error and why like the majority of people reading my work, they did not behave as real detectives and assumed only. The discussion got quite intense at time, as I explained to them that I use a modified software and not to be sought as a deceiving psychic or another Mrs. Cleo. I also tried to explain how my methodology and this software could save police officers lives. I suggested them again to investigate my work and I further because of my concern for the very high possibility of President Obama’ assassination. They stumble on this comment and kept asking me questions but I knew again they did not read America and Obama’s Fated Stars nor Pray For President Obama! In fact I told them, do you think it is an accident for me to write about “Kill all FBI Agents” a few days ago and then a corrupted cop killer Rogue ex-cop is heavily armed, trained and hunted is currently making international news killing cops? They surely know about his deadly aims and must stop him before he kills again but they know nothing involving the Scorpius cosmic fluid currently messing up his psyche, work and service to the world. They never read my prediction pertaining to ALL secrets, especially those involving the FBI, the police etc. being brought to light by this Scorpius Dragon. But those logical souls are untrained to read omens or the “signs” as their traditional education does not acknowledge nor teach such refined spiritual disciplines. 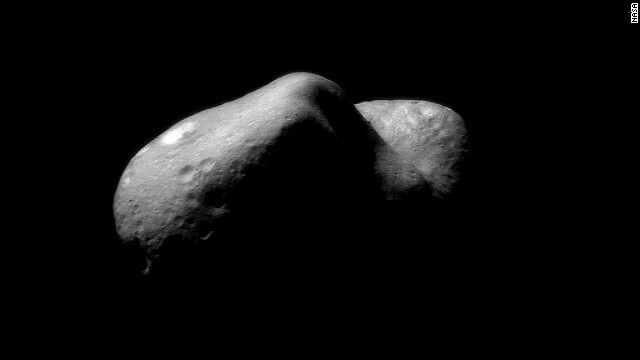 I also told them about the Scorpius Dragon aiming for the Dept. of Homeland Security, forcing a RE-structure’s of the police force and my prediction of some FBI agents messing up with prostitutes. Of course they had NO clue of the 22 set of predictions posted on my website explaining the 2012/2014 deadly Scorpius Dragon offering them undeniable proof of my well documented, dated, printed, published set of predictions. I tried to explain how this Draconus “cosmic” energy was in charge of the Law Enforcement Agency and the criminal element but like every FBI agents their traditional education does not involve Cosmic Consciousness awareness. I told them to Goggle Dr. Turi and with nearly 5 million hits they would learn more about my expertise, books, articles, predictions, radio and television programs! I tried to explain that the word “Astropsychology” or me mentioning “dragon, cosmic consciousness, the stars, astrology etc. those traditional organizations and their accepted disciplines would not accept my 45 years of independent research on the human psyche. I explained my dilemma to both of them, or that I was coming from the archetypal realm of consciousness and the intuitional domain, something the scientific community is ill equipped to deal with. I truly think they understood me well and repetitively told me they were not the right people to convince, instead aim for the appropriate suggested police organizations. I emphasized the importance of my expertise, explaining that my software would allow a “cosmic conscious” cop to make the critical difference between a Plutonic born killer and a normal law obedient citizen by entering his DOB on the way to a 911 call. Their answer was expected, they are all well trained and cautious at all time, which is understandable but induces unneeded / endless stress to an already very demanding dangerous profession. While a rigorous training and basic intuition plays a very important part judging any critical situation why not investigating a new adjacent technique that will bring more safety and inner wisdom to all the cops? I told them if my work could save a single civil servant’s life it it worth investigating. I tried so hard to make justice to my “cosmic” wisdom but both had a “tunnel vision” warning me diligently and politely of the potential to stimulate a criminal mind against the FBI! At time I had their total attention as I was “preaching” the divine and I knew they knew I was far from being either dangerous or stupid! I kept telling them to let me offer them a little sample of my expertise by giving me only their month of birth, they categorically refused and this meant I was not yet able to convince any of them of my “Human Detector” true talent. I kept talking and explaining what Astropsychology was all about and how sad I was each time a cosmic unconscious police officer met with his early demise. They asked me the names of some of the cops I worked with but, when I channel from the cosmic mind I usually lose all sense of memory and had no answer. I told them about a N.Y. police Chief about to retire we know very well and communicate often with and some other cops, I asked them to check my website and read their concerns, comments and my answers. The discussion while hot and and passionate turned in my favor as they were doing quite a lot of listening and this is where I asked again for one of the FBI agent to give me his month of birth, and he did! He was born in January, in the constellation of Capricorn, I knew he was curious and I had his attention only for a short time so I quickly explained what the word “UCI or Unique Celestial Identity” meant. I told him born in January *Capricorn (the Goat/Uncle Sam) which is his first house, he was naturally attracted to a career with the feds. There is so much more about being a January soul, but I had to race into his 10th house or his career/ accomplishments explaining his Libra (the law) cosmic flux which again makes him a born psychologist or an attorney. In fact many cops are Capricorn and operate as engineers of in a structured governmental institution. I also mentioned his Pisces 3rd house (critical thinking) swimming up into the divine like Einstein, George Washington, artistic Michael Angelo, Dr. Turi or the born negative fish swimming downstream like Osama Bin Laden and Joel Osteen. He was perplexed, especially when I told him the reason why he did not want to give me his DOB was because of its natural skepticism and/or religious convictions… He did not answer me, but he offered me a big smile and came right back asking me if, someone was to contact me with bad intention against the FBI to let them know right away. I then turned towards his friend, asking him to get a test of Astropsychology but he was very quiet, very private, very cautious and all ears…This denote a very strong Scorpio energy coming from his psychical conception, either on his Sun, Moon or natal/hidden Dragon. And HE alone knows, can now judge my perceptive nature nature, because, as they left I gave them my card and I know they will read more of my work. I suggested them to join the Cosmic Code website for free and both again politely and gallantly refused as their felt their very specific mission with me was accomplished. Meantime there are no doubt both of them felt my drive, my honorable intentions and I even told them, for me to stand strong, firm and confident today in from of you two speaks of my passionate dedication trust in faith in something that could benefit the Law Enforcement Agency. Jokingly I told them I could be right now on top of my house with an assault weapon screaming for national attention and take the chance of being killed. Their jaws dropped when I made this comment only Dr. Turi can come up with to make people really think! In all there is no way for me to really know how I performed with those two great human beings and if this experience will stir them to learn more about Astropsychology! But one thing is sure, God sent those two souls my way for a very specific purpose. And this is well pass warning me about the craziness of some US citizens reacting negatively to my provocative titles. It seem my “reverse psychology” brought its cosmic fruits to two FBI agents but what can I do next to reach their superiors? Now on to the explanation of Christopher Dormer ‘ s actions – Christopher Dormer was born June 4, 1979 under the communicative, dual sign of Gemini. This sign is ruled by Mercury, the messenger of the Gods and a master in communication. If you read his LONG note to the police “http://news.msn.com/us/manhunt-on-for-former-cop-suspected-in-3-killings?ocid=ansnews11” it really speaks of the true essence of a very communicative Mercurial soul. Sad enough the traditionally educated police psychologists kids are far from realizing the wealth of information Astropsychology can offer in any subject’s psychical investigations. Christopher Dormer is DUAL ( so am I ) Gemini and everything in his life will happen in pair! This sign rules justice and steers the soul to work enforcing the law and enunciate why Christopher wanted to be a cop! But the biggest problem here is his moon (emotional persona) receives the extraordinary intense, revengeful, destructive, passionate planet ( Pluto (Lord of Hell in Greek mythology) quadruplicating his destructive emotions and vengeful nature. Sad enough this violent planet is located in his 12th subconscious house and losing his job brought a very strong sense of insecurity that endlessly consumed his life. In this house Mars become repressed and the cosmic energy can only be released with deadly plannings. Sad enough this planet is located in his 7th house (partnerships) and bring serious deception and manipulation from/with all the people he faces everyday. This planet also enunciate the use of chemicals. Remember my Astropsychology expertise does not reflect modern astrology methodology thus facing the world, Mr. Dormer becomes a wild Sagittarius (the Indians/the wild) and why he feels very comfortable in the mountains where he is currently hiding. While there are so many more clues available in my expertise let now give the Coup De Grace and the real reasons behind his deadly acts! BIG BEAR LAKE, Calif. — More than 100 officers fanned out again at daybreak Saturday in the snow-covered San Bernardino Mountains, resuming the search for the former Los Angeles police officer suspected of going on a deadly rampage to get back at those he blamed for ending his career. While my interpretations make total sense to my Astropsychology students, I doubt very much the general public and the The American Academy of Police and Public Safety Psychology, without the basic understanding of the “cosmic” dynamics involved, will ever get my message… I can only try! Christopher Dormer was born with the same natal Dragons’ Tail (negative) in Pisces (delusion/drugs) as serial killer Jeffrey Lionel Dahmer. This nefarious cosmic energy is right into his 10th house of career and public accomplishment fating him to become a corrupted cop. Furthermore his hidden Dragon is also found afflicting his career adding more reality to what transpired all along his career and the horrific end. While Dormer’s moon (emotion) in Libra (the Law) lead him to police work “As a young police explorer I found my calling in life.” the rest of his “UCI or Unique Celestial Identity” did not endorse such a choice! Thus the entire “cosmic unconscious” staff at the The American Academy of Police and Public Safety Psychology have a lot to learn. The question is will they be willing to “think out of the box” and learn more about the working of the human psyche outside of their accepted disciplines and “accredited” education? At 63 years old my independent researches on Astropsychology can bring the many answers they are all enslaved to find for sure! I AM HERE FOR THEM ALL! The big problem is, currently the “cosmic unconscious” American Academy of Police and Public Safety Psychology train and hire thousands doomed souls like Mr. Dormer which at the end cost tremendous wasted tax legal fortunes and even death! Yes too many cops met with a much too early demise or end up crooked and in jail. To “Serve and Protect” stars by cleaning the ignorance before they make their way at the top Executive levels. There is no doubt in my mind that like all departments of the human experiences corruption reign supreme. And this Scorpius dragon act out God cosmic will through the actions and words of people like Mr. Dormer and Dr. Turi. One working for evil, acting out neurotically, subconsciously his destructive stars, the other (Dr. Turi) doing exactly the same but all in direction to the light, justice and wisdom for all. Mr. Dormer days are numbered for sure, the Dragon will be against him on February 10/11/12/13 and like Osama Bin Laden nefarious soul death will be closing on him near or in water… For if Christopher Dorner manage to bypass his upcoming personal “unlucky window dates” this dragon will deliver its deadly promises and this is where I hope, I will be reached again by the FBI to offer my expertise to stop this loss, dangerous wild bear. ASTROLOGY IS AM ART, DR. TURI IS THE MASTER! LinkedIn now has 200 million members. Thanks for playing a unique part in our community! Recently, LinkedIn reached a new milestone: 200 million members. But this isn’t just our achievement to celebrate — it’s also yours. ARMED AND DANGEROUS SUSPECT: Christopher Dorner, driving a Nissan Titan with license 8D83987. 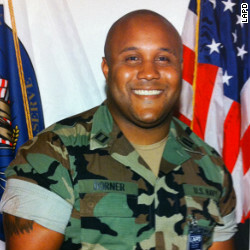 On February 7, 2013, a 0120 hours, SUSPECT: Christopher Dorner was involved in multiple shootings with agencies in Riverside. Dorner is also wanted for a double homicide that occurred in Irvine on February 3, 2013. Ski rack on top of the vehicle, a bed cover, and aftermarket wheels.